This is the cover of my recently published e-book. And it was a dicey, maddening run to publish. Rule one, if you are planning a specific release date, make sure you leave plenty of time for proofreading-of course you know that. But there is something else you need to plan for and that is when things go wrong-everyday. 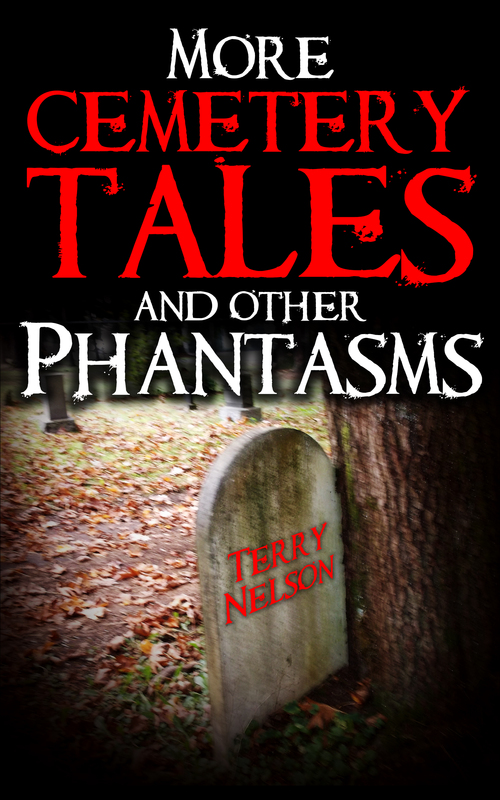 I wanted to release this book Halloween week for obvious reasons. So I knew how long I had to proofread, have my book formatted to Amazon specs, go through the process on Amazon with categories, keywords, uploading, pricing, and other fun things, then blog and Twitter before Halloween. But gremlins living inside cyberspace, my computer, and probably under my bed conspired to stop me. (1) I uploaded my file to the company that formats my books. I then send the mobi file to my Kindle PC for a final proofread, the reason being is that seeing your book on a Kindle before publishing is great for editing as a lot of things you missed jump out at you. Seeing what needed changing I went to the formatter and the document was not only gone, but the vertical scroll bar was gone-not that it would have helped. So email to support and wait. The next day everything was okay, so I spent two days doing the last fix. I still had time to publish, though it was now Monday of Halloween week. (2) My mobi file disappeared from my computer, Tuesday I found it in a search. (3) Still Tuesday I send the mobi file to Amazon and uploaded the book. Yeah! Rule two, do not celebrate early. (4) Amazon, though I followed-mostly-followed their guidelines on keywords-nonetheless was told they would overwhelm searchers. (Hey, isn’t that what I want). It took three tries before they were satisfied. This is my fourth book, and had no keywords problems before. (5) So after a long Tuesday I was told the book was under review. Wednesday an email told me the book was live. Yeah! See rule two. (6) I clicked ‘here’ in my email and indeed the book was on Amazon. Unfortunately it was not on my authors page. After an email to Amazon support, the problem was fixed later in the day. I was lucky to have the book go live three days before Trick and Treat night. So now that you know what can go wrong, be advised to plan in advance so that you finish the book and everything is ready a week ahead of time, maybe two weeks. There are cyber gremlins waiting to attach. Now if I can just get the cat off the top of my head. Here is a link to the book that survived the gremlins. There is no guarantee the link will work though. A writer has a manuscript, revised and edited, critiqued and edited again. The writer then compiles list of agents accepting queries for genre of manuscript. He submits queries. (Note: Some agents expect you to query them exclusively, then wait two months for answer. Note to note: What world do these agents live in?). Writer then secures agent five years later. Agent wants changes, writer complies. Two or three times. Agent submits manuscript to publisher nine months later. Editor at publishing house likes it, discusses project with editorial board and sub committees. Profit and loss statement is prepared to determine if it is profitable to proceed. If it passes though all boards, offer given to agent, who shares with writer. Negotiations go back and forth for a couple of months as clauses are added, others deleted, some amended. Agent trying to protect writer, publisher’s legal counsel trying to protect publisher. At this juncture writer has now written three books while waiting for first book to be published. Editor sends contract to agent who sends it to author. Once signed, editorial notes are written and revised. and final manuscript submitted. Then manuscript goes to production department. Proof sent to author for double checking-as if the writer wants to read the book he wrote years ago. The back cover is prepared along with other tools to publicize the book as generated by publicity department. Galley copies go to media for review, provided you are lucky enough that publisher thinks book is worthy of reviews. Book goes into stores and sales begin. One month later book is on bargain table. Elapsed time from submission of queries to book on bargain table is same time as it takes to travel to Mars. Chance of new writer getting lucky enough to have book published is same chance of seeing the Loch Ness Monster at a Broadway revival of a 1920’s George M. Cohan play. Writer decides to go indie and publish e-book. He goes to Kindle, uploads manuscript, fills out all relative information, clicks publish. Elapsed time same as drinking two cups of tea. On e-month later book is on Cyber bargain table. But it was a lot more fun.